This macro launches the Draw program within ScorBox. Choose the option that suits you. Note that the first two options are determined by the content of two support files: “default-library.txt” and “draw-libraries.txt,” available in the download file. 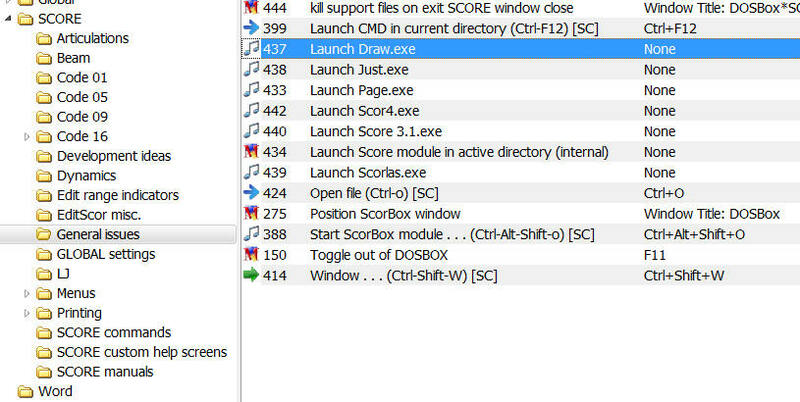 In “draw-location.txt,” indicate the full path to the location of your Draw.exe. 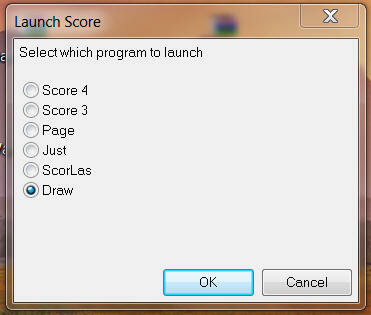 In “default-library.txt,” change the path to indicate the draw library that you use by default when working with Score. 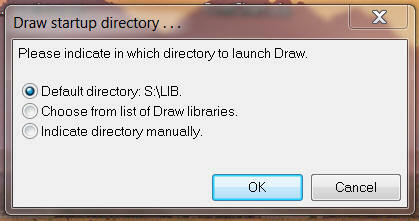 Then, when Draw launches by selecting the first option, “Default directory,” it will open in that directory, and you can then easily call up the Draw files you wish to work with.